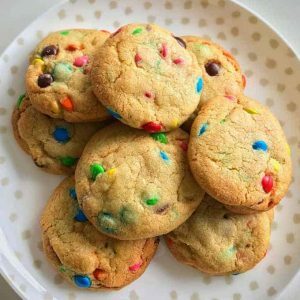 You can’t beat these delicious and easy M&M cookies! 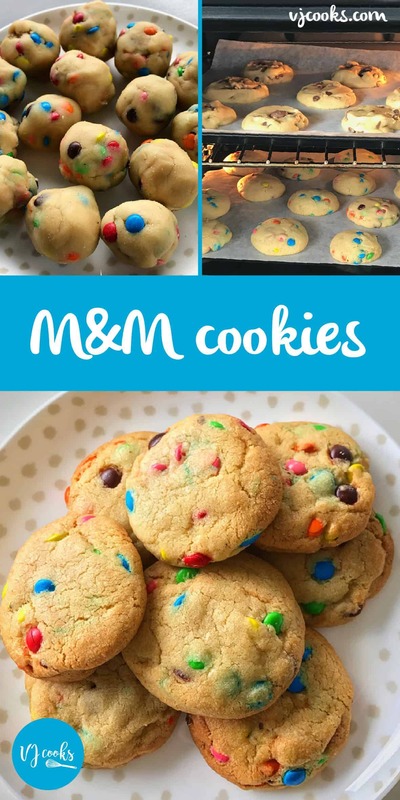 These M&M cookies are so tasty and the perfect balance of crispy outside but soft and chewy centre. Roll them into balls and chill them in the fridge or freezer until they are cold before baking. Then they won’t spread so far as the bake. 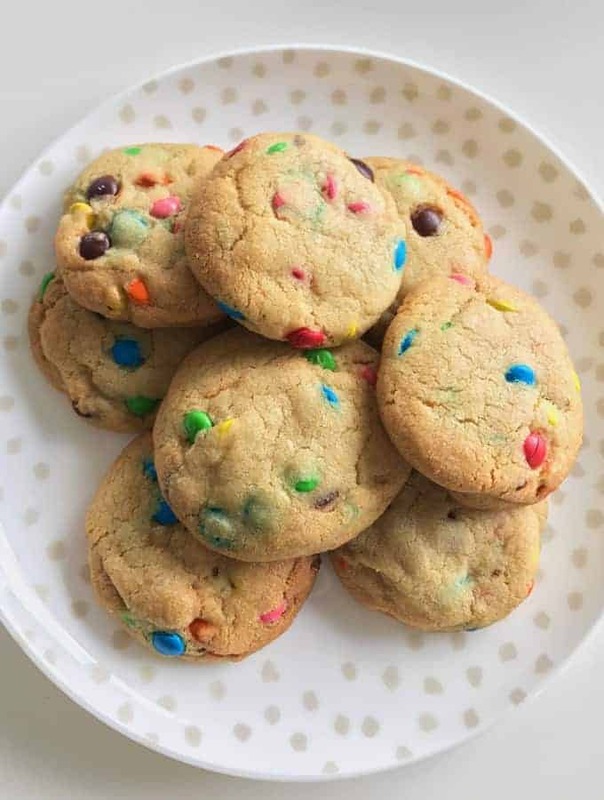 Make sure you give them lots of space on the tray when they bake. They also freeze well so either freeze the dough balls in a snap lock bag or roll the dough into a log and freeze in baking paper. Then when you want to bake more cookies, remove from freezer, unwrap and cut chilled/frozen dough into 2cm chunks with a large sharp knife. Place on lined baking tray and bake for 15-20 mins until turning golden but still soft in the centre. 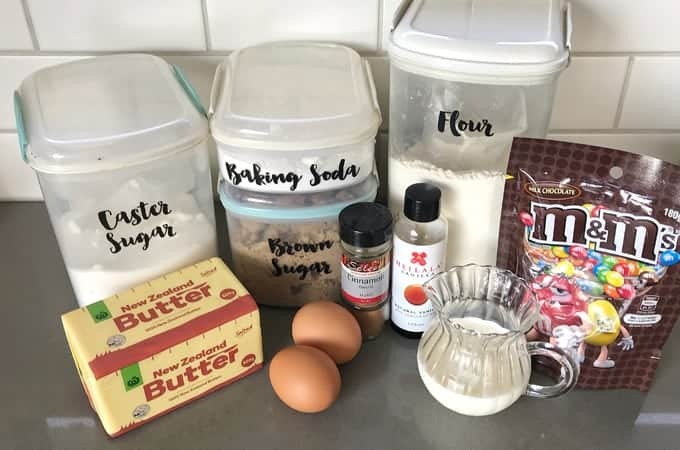 In a mixer beat butter and sugars until smooth, add eggs and vanilla, mix until combined. 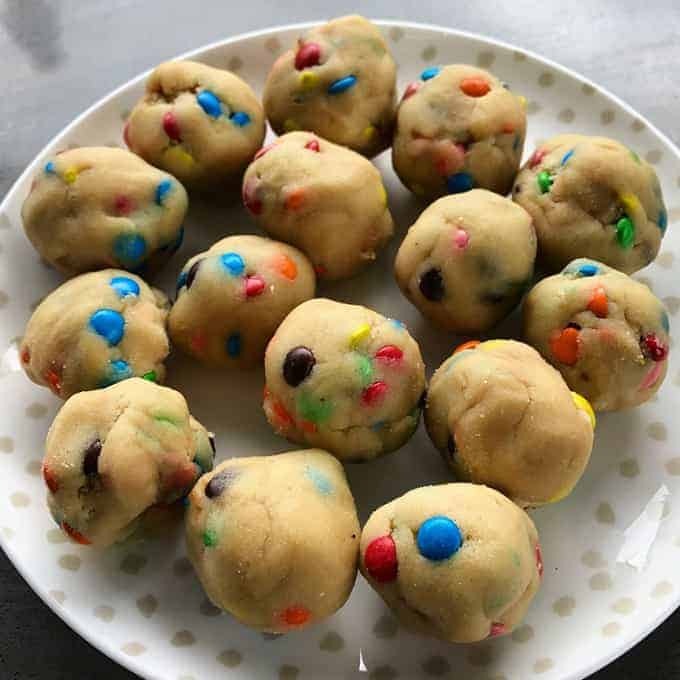 Pour in M&Ms and stir together then roll into balls and chill for at least 20 mins. Remove from fridge and place on baking paper lined tray and bake for 15-20 mins until turning golden but still soft in the centre. If you want to freeze half of the mix for later you can put the rolled up balls in a zip lock bag once chilled, then freeze. 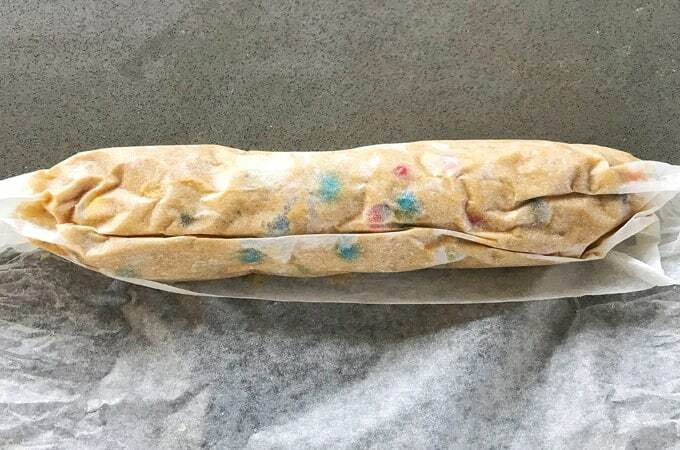 Or you can roll the mix into a log and wrap in cling film. Then when you want to bake more cookies, remove from freezer, unwrap and cut chilled/frozen dough into 2cm chunks with a large sharp knife. 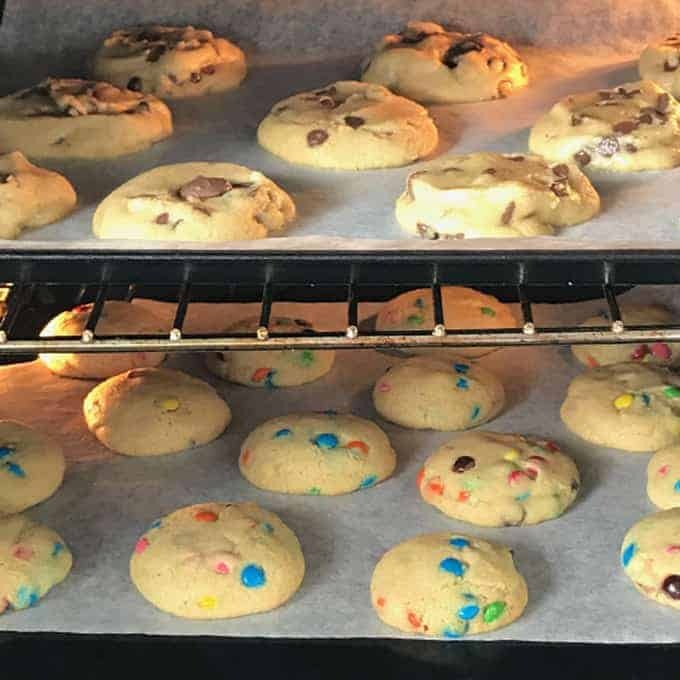 If you do not chill the dough before baking they will spread very quickly, more like a Subway cookie so give them lots of space on the tray.